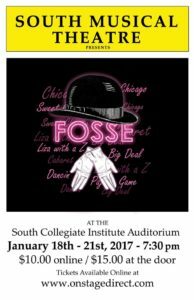 A celebration of the life and work of legendary director/ choreographer Bob Fosse, the show includes dance and musical numbers from his Broadway shows, feature films, and television specials. Memorable songs include Life is a Bowl of Cherries , Bye Bye Blackbird , Steam Heat , Mein Herr , Razzle Dazzle , Rich Man’s Frug , Mr. Bojangles , Sing Sing Sing , and many more. 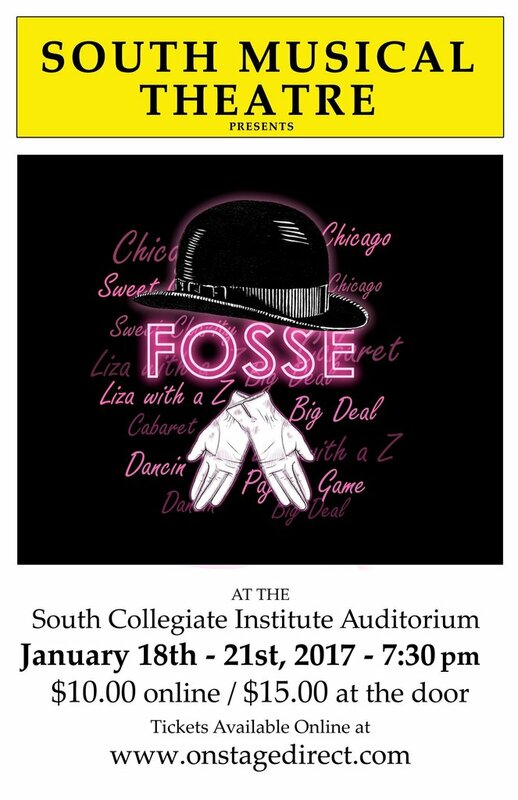 Showcasing the talented students in the South program, and featuring Fosse’s signature style, the show will be a treat for the whole family.